It’s been three years since I shared the things I’m thankful for, so I thought it time to reflect again on all the good things I enjoy in our hobby. I’ve always intended to write about my experience scribing -- because I’ve found it to be quite zen -- but just haven’t gotten around to it. 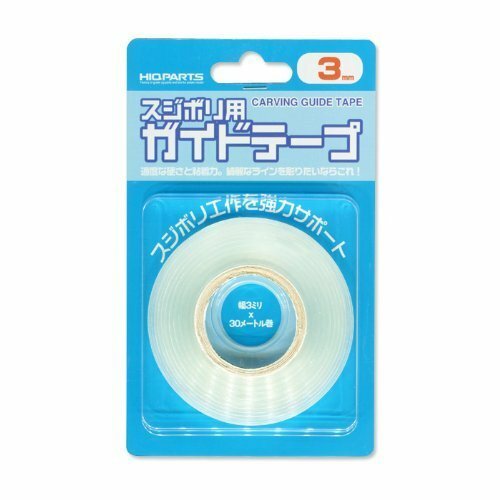 The desire is stronger now after having discovered HIQ Carving Guide Tape via Hobbyworld USA. If you’ve struggled scribing around curved surfaces — trying to apply multiple layers of masking tape to create a scribing guide or cutting long strips of label tape — you’ll find that HIQ’s tape is the bee’s knees. Over the last few years we've seen an explosion of magazines and books describing how master modelers, build, convert, paint, and weather their models. We’ve come a long way from simple 4-5 page articles in magazines. Today you can find a 25-step photo instruction on how to paint and weather a P-51D fuel tank and entire books dedicated to building a single model. With so many books explaining every little technique, there’s seemingly no excuse not to build a decent model. YouTube has become a prime medium for delivering thorough in-box reviews of new kits. 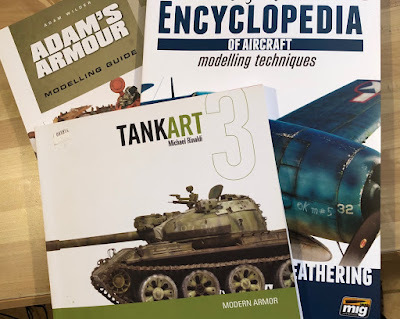 Web sites such as The Modeling News and BritModeller have long offered comprehensive photo coverage of new kits, but a video offers a new dimension to assessing them. Look at the BlitzGreigModelWorks or Genessis Models YouTube channel for good examples. I know I’ve been critical of the deluge of groups on Facebook, but the result has been an abundance of information shared from all corners of the globe. I suspect many of the groups we’ve joined have been created by modelers for modelers, but they attract real-world pilots, soldiers, seamen, etc. who are eager to share their photos and experiences. We modelers have everything to gain. I’m still concerned that content is being diluted when there are so many groups intended for the same subject (for example, nearly 15 groups for the F-4 Phantom), but the value of Facebook cannot be denied. The older I get, the more I realize that most people don’t have a hobby. 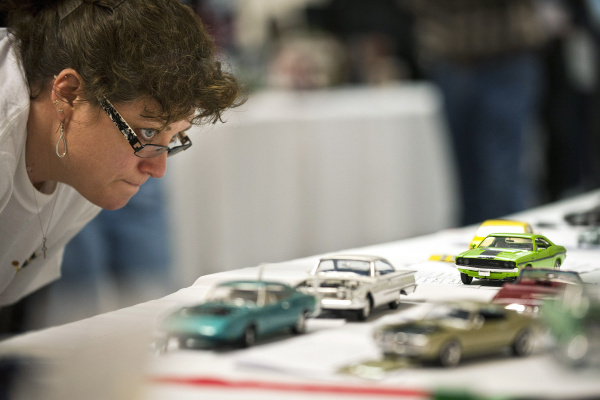 While those folks are wasting away watching television or doing god-knows-what, scale modelers like us are actively engaged in history, research, and craftsmanship. We’re lucky to have a passion that drives our thoughts and activities on a day to day basis. I always love ready your posts.